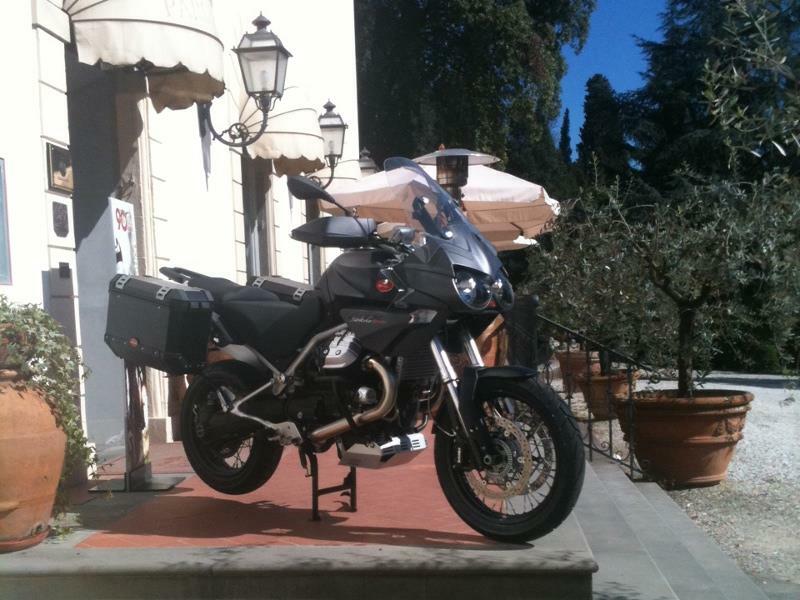 MCN Senior Road Tester, Michael Neeves, has just arrived in a sunny Florence, Italy ahead of the launch test of the new Moto Guzzi Stelvio and Norge which both feature a host of modifications from engine to suspension to cycle parts. Moto Guzzi Norge GT 8V first ride: "It’s a very civilised package"
This afternoon Michael Neeves has been riding the updated Moto Guzzi Norge GT 8V, costing £11,549. Moto Guzzi Stelvio first ride: "Very easy and relaxing to ride"
Moto Guzzi Norge GT 8V - "a hugely capable mile-munching tourer"
Here's a road test of the Yamaha FJR1300AS and Moto Guzzi Norge 1200. "Not as fast, light or focussed (as BMW's GS) but it doesn't take itself as seriously, either"
"What it lacks in performance, it makes up in character"
"A worthy, good-looking if heavy roadster using Moto Guzzi's traditional and characteristic transverse 1100 V-twin"
"A very decent all rounder"
"Italian with real history; not superb at anything it's a great all rounder"
"A strikingly styled, well built roadster that's a match for the best from anywhere"
"Stylish, useful, charismatic and simply a nice motorcycle"
"A modest cruiser which is a surprisingly competent all-round bike"
"For a roadster/cruiser it's undeniably stylish, well-equipped, has a fruity motor, fun handling and is good value, too"
"A high-tech 21st century chassis with an intelligently updated version of the V-twin engine"
"Handled poorly, rode harshly and the odddly shaped saddle left the rider feeling perched on an upturned canoe"